Freak ice hockey puck incident injures Coventry City goalkeeper. Sounds a weird one doesn't it but sadly it is true. "Sorry, I might not be fit for Tuesday's match, I've been hit in the head with an ice hockey puck." You can imagine that was how goalkeeper Lee Burge had to break the news to Coventry City manager Mark Robins. The 25-year-old was hit with a stray shot during Coventry Blaze's match with Sheffield Steelers on Sunday. 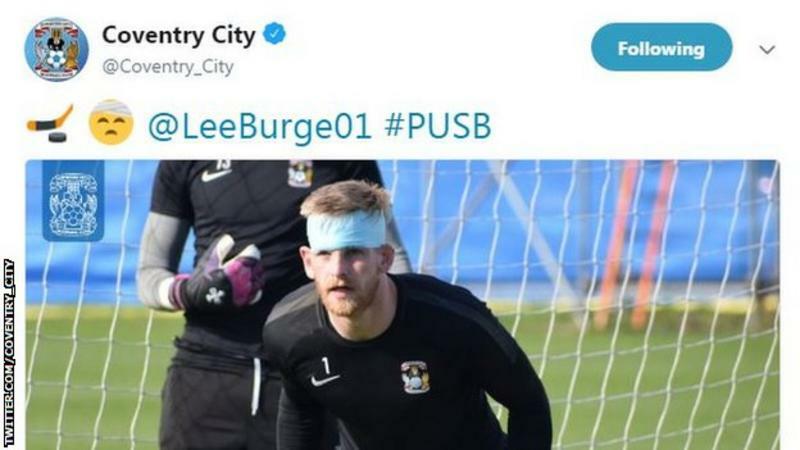 Burge trained with a bandaged head on Monday and will be assessed before Tuesday night's League One game with Portsmouth at the Ricoh Arena. Into The City of Roarks!